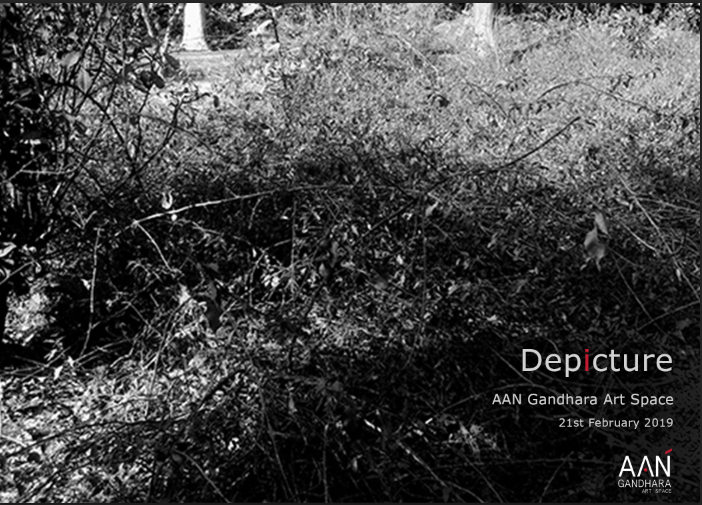 An exhibition titled “Depicture” opened on 21st February 2019, at AAN Gandhara Art Space, Karachi. 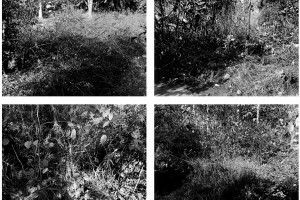 Curated by Alia Bilgrami, the exhibition showcased works by seven different visual artists and aimed to address the ephemeral nature of the time-based digital media. 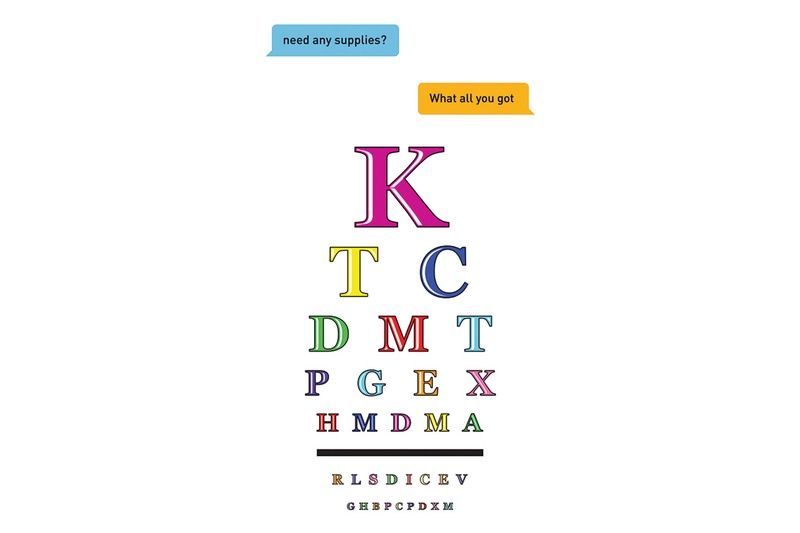 This led the participant artists to ruminate and articulate upon the non-archival aspect of their respective works by instantly raising admissible questions over the subject in viewers’ minds. The exhibit embodied an interesting amalgamation of artworks, covering a diverse range of subjects and brought under limelight, the ideas of the heritage exploration through the city’s colonial architecture, the evolution of urbanisation and its aftermath. 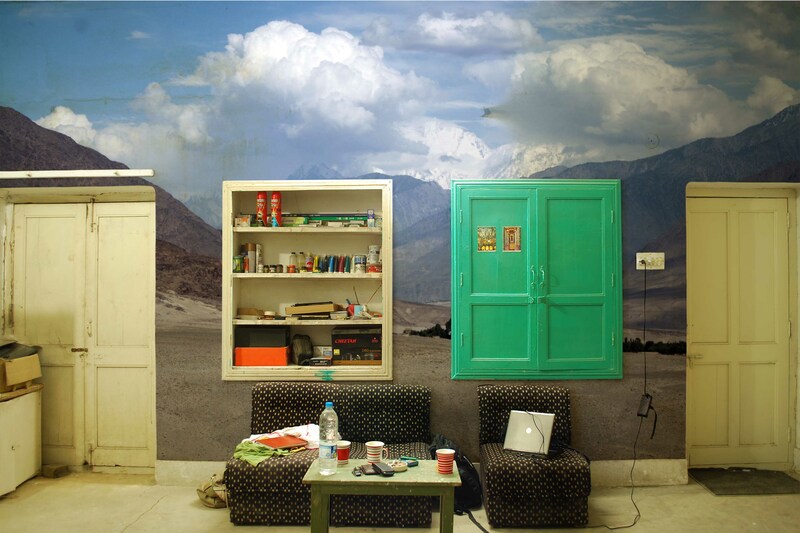 This was clearly conveyed by considering and analyzing Aisha Abid’s display of Curator/Artist Salima Hashmi’s Lahore shelter in contrast to our modern day dilemmas of the digital age as depicted by Numair Abbasi. 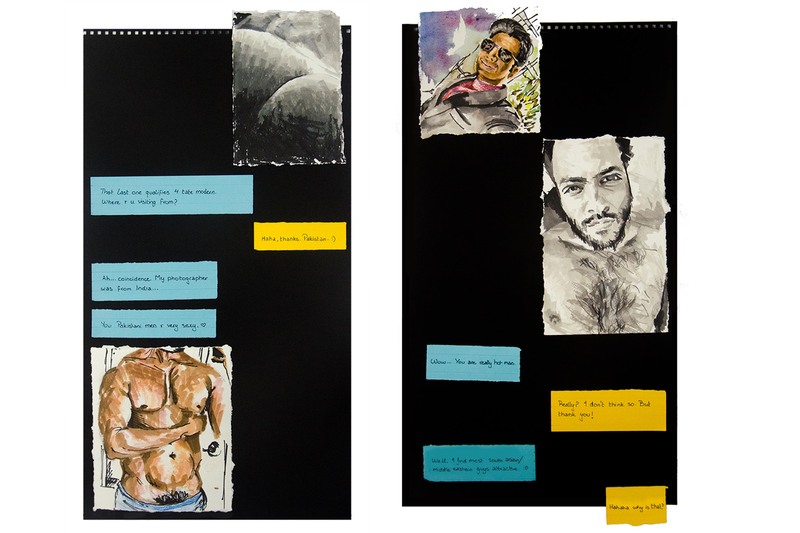 Veera Rustomji initiated the show with her video installation titled “Getting to know him before he knows you”. 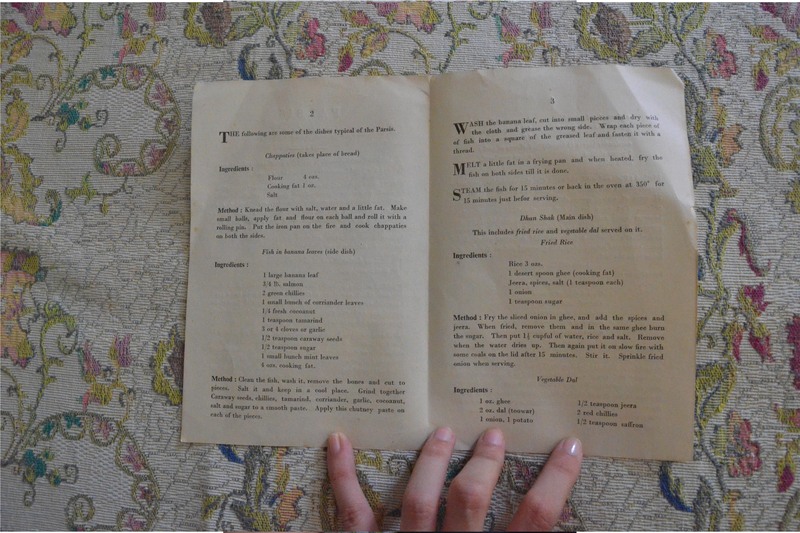 Here she engaged in a rather tedious of preparing an authentic Parsi breakfast, thus providing an evident preclusion of Rustomji’s family in coherence to the significant role they have played in the city’s heritage. The peculiarity of the video was intriguing as the viewer was easily drawn to watch it till the very end; which in contrast to a regular introduction of the family’s historical background in form of statistical facts and figures would not have drawn as much attention. 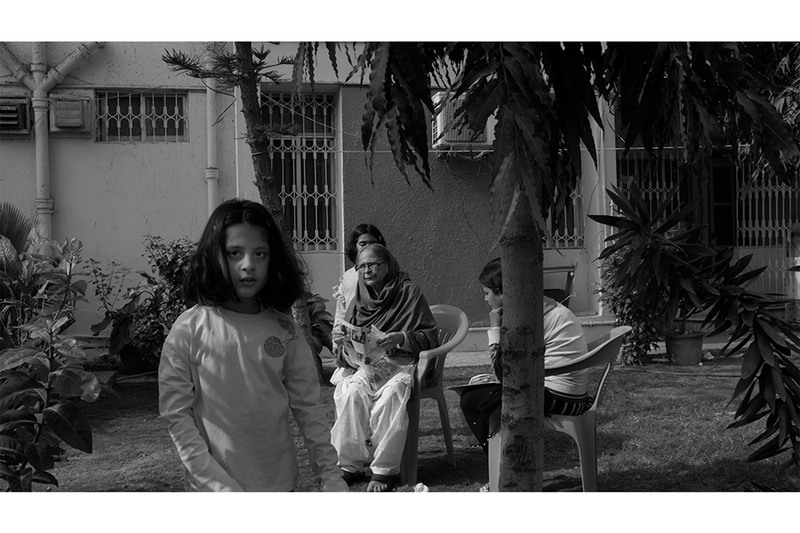 Moving ahead, the monochromatic photographs by Malika Abbas depicted scenes of a family where she seemed to convey that people are more real, humane and exposed when glimpsed in their everyday life. Abbas attempted to revisit and confront the grief associated with some of her past memories and pointed out that people often avoid walking down memory lane. Although, doing this might eventually lead to potential healing, but out of the fear of becoming despondent, they withdraw altogether. Most striking was the image in which an old woman is seen in a state of hopelessness and dependence, facing harsh realities head on. 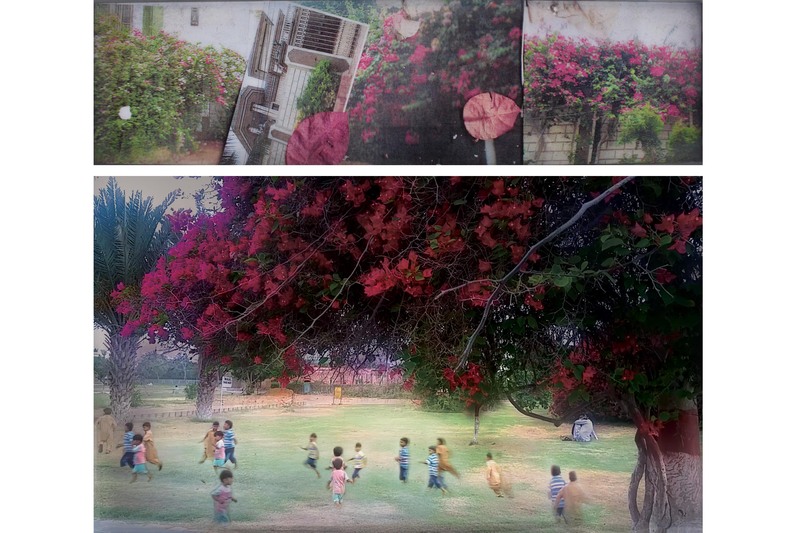 The works titled ‘Remnants’ by Jovita Alvares, however, illustrated the aftermath of developmental projects in certain areas of the city by using layered images in a backlit frame and creating an atmosphere of sensory movement in the visual art works without using real moving images, i.e. video installations. Articulating her view on the colonial architecture that exists around the city, Alvares spoke about how these places beautified by plants and run as government institutions are meant to justify the damage done to the communities who resided there in the past. 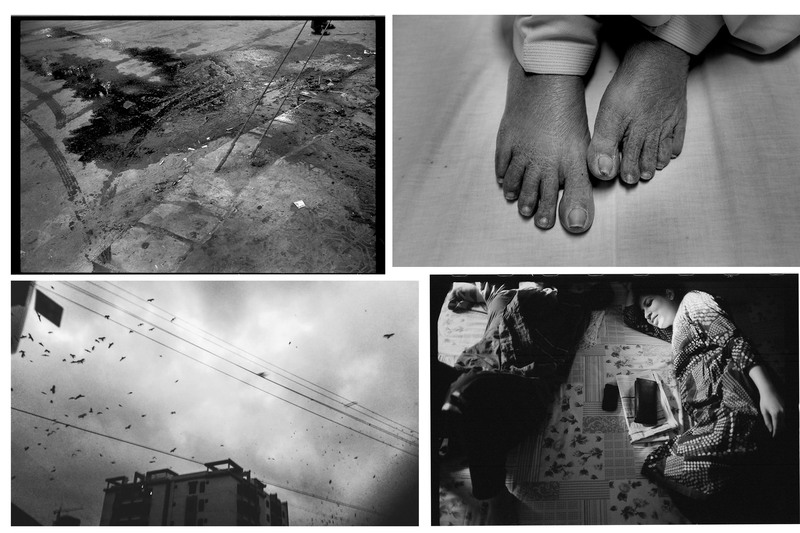 Another work displayed that dealt with issues of destruction and erasure caused by the urbanisation was that by Ali Sultan. 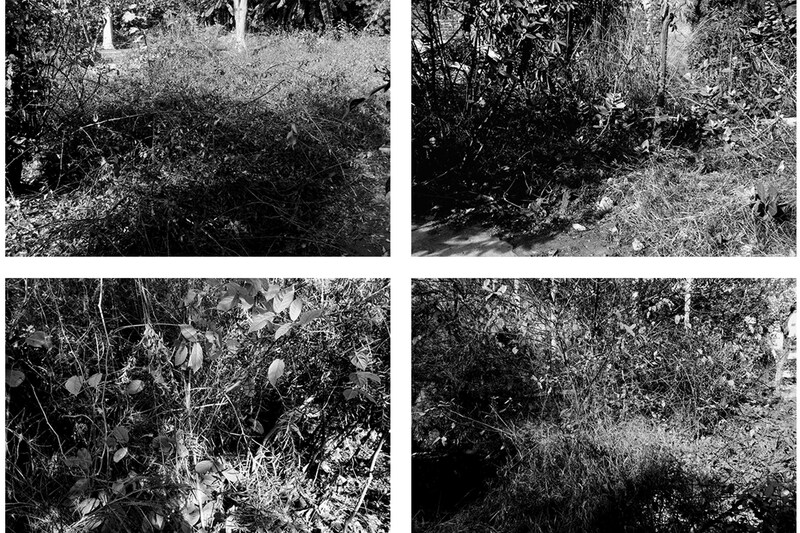 Sultan recalled his beloved friend’s home by documenting each and every area of the house where rooms, doors and windows existed as per his statement made earlier, using black and white prints to portray the flora grown in places where people once lived. 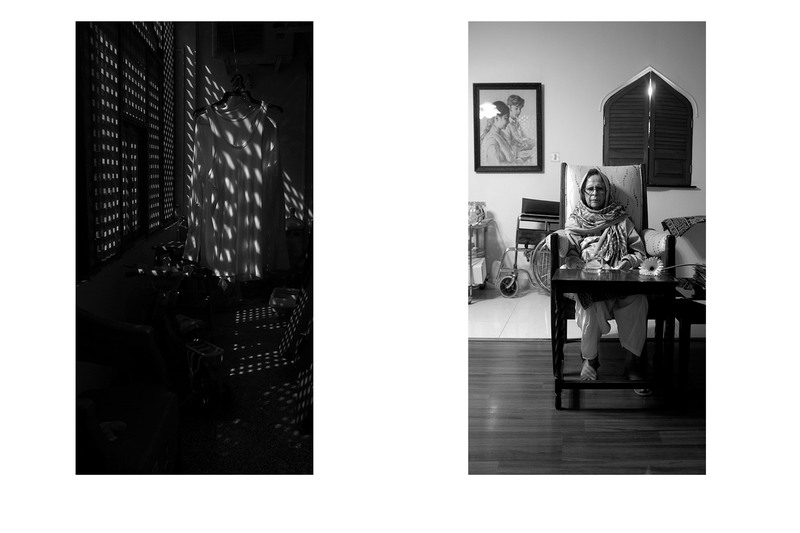 Meanwhile, Aisha Abid’s work displayed though Power point presentations studied the house of artist Salima Hashmi in Lahore, in a rather intimate manner as she shared photos of different spaces inside her home indicating the confidence to have understood the emotional and personal traits of the artist. Her work acts as an apt portrayal of the environment that leads to the creation of such paintings and various other artworks that are personifications of a Hashmi. A similarly conveying work of art by Iqra Tanveer was one that peeked into a house interior and looked like a total Reality escape. Amusing and thoroughly entertaining were the art works by Numair Abbasi. Reflecting upon the undeniable dependency of the young generation on the medium of social media, attempting to find potential partners and admirers via dating apps on the Internet, which in reality, is only a temporary means of interaction. Abbasi also puts forward the issue of homophobic comments showered on queer men in Pakistan recalling various sexual advances being made to him through social media apps. Visually arresting yet thought provoking work by Abbasi was the video projection titled “let’s chat for a week, swap photos and never meet up”, that showed the prevalent addictive digital culture. In moments of boredom, solitude or just in one’s plain socially anxious nature, we all have conversed with people we had no intention of meeting in real life. But what social media really set out for communication between people did not quite happen that way. Instead ours is the generation that lacks essence of a true conversation. The video game like format was quite intriguing as it perfectly depicted the playful, non-serious nature of such conversations. It’s much easier to converse using a social media app than it is to gradually unveil the many layers of someone’s personality in reality; so as human beings and opportunists we all resort to this method. Thus, revealing a clear picture of our present day society. 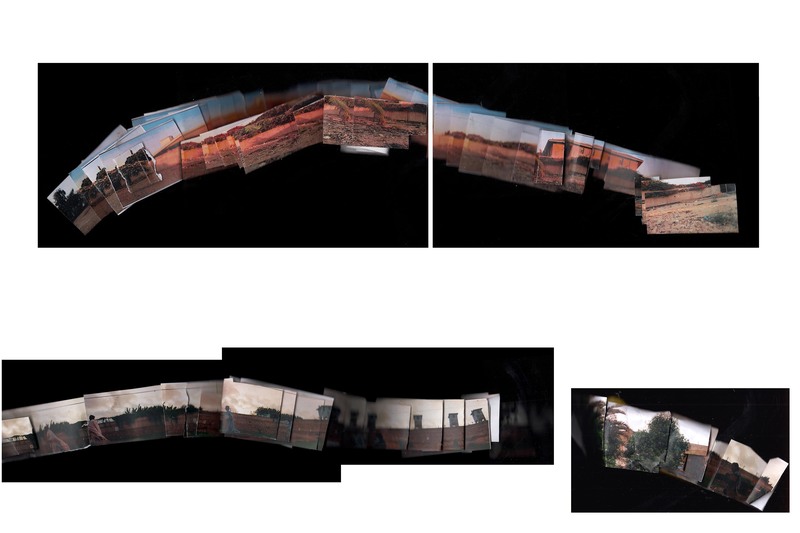 Lastly, Nur Jehan Akhlaq ‘s works mingled up miniature art with photographs of ordinary objects to create collages, amalgamating the up cycling of materials and the symmetrical and ornamental nature of Islamic formalism. 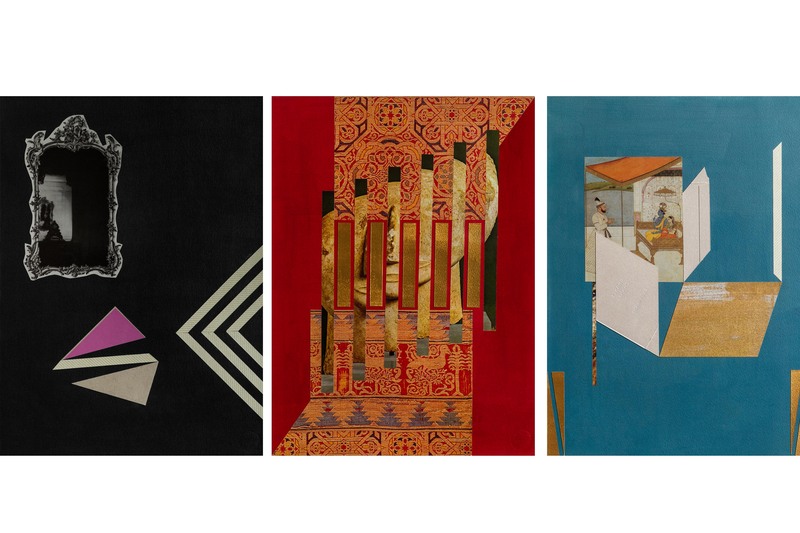 The artist was highly inspired by the history of Lahore, its contemporary urban landscapes and its interiors. Akhlaq takes boxes of local products, using them to create interesting montages of miniature paintings, things of cultural significance such as artefacts and much more. The visual element and the medium of recycled product boxes had been at the forefront of the artists practice. Overall, the show portrayed artists as potential historians of the future with the use of video and photo montages as mediums. And it can be claimed without a doubt that video as a medium in art is here to stay. Despite its ability to be re-mastered later and altered it is indeed an effective and thought provoking way to convey one’s message.